In Southern California, the constant exposure to the sun produces severe skin damage. As we get older, some of that damage is manifested by irregular or blotchy pigmentation spots, called solar lentigenes, which can occur on face, arms, hands, shoulders, and chest. All theses areas can be treated with the IPL PHOTOFACIALS IN IRVINE, CA. IPL Photofacial involves a non-ablative laser that has been carefully calibrated to seek out specific pigments in the skin – redness, darker discolored patches or dark spots from acne scarring. The actual IPL Photofacial procedure feels like the mild snapping of rubber bands against the skin’s surface. With each snap, the IPL Photofacial penetrates deep below the skin’s surface to treat the issues at the source. Immediately following an IPL Photofacial, a patient is free to resume his or her daily activities. A brief period of facial redness is the most common side effect of the IPL Photofacial, although this can easily be covered up with a mineral liquid foundation, powder or a concealer until the redness subsides, usually within an hour or so. 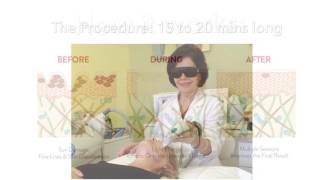 Each IPL Photofacial treatment is conveniently quick and takes only about fifteen to twenty minutes from start to finish. For this reason, many patients seamlessly integrate their IPL Photofacial into their lives by getting treatments during their lunch hour. “I love how my skin looks. I used to be embarrassed to go out because of my brown patches. my husband too saw a big difference.